Welcome to "On Belay With..."! This is a series of short interviews with mountain medicine folk. If you'd like to take part please get in touch! 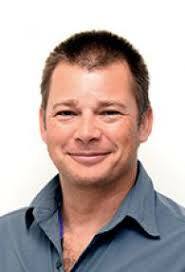 Dr Edi Albert is a Medical Officer with the Royal Flying Doctor Service and Senior Lecturer in Remote and Polar Medicine at the University of Tasmania. In 2019 he will be volunteering with the International Porter Protection Group (IPPG) at their Rescue Posts at Gokyo and Machermo in the Khumbu. 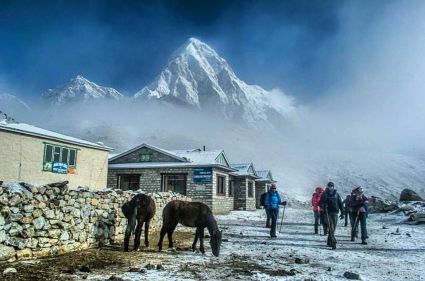 Whilst in Nepal he will be running an educational trek to raise money for IPPG and Classrooms in the Clouds (CitC Nepal). For further information see this earlier post. Having just perused Jon Morgan's recent "On Belay With..." feature one could be tempted to shrivel in awe at his inspiring accomplishments. But perhaps I can offer a better alternative to feeling inadequate. Our modern world rewards the specialist (whether medical or sporting) with ever increasing admiration and wonderment, as they themselves focus ever more narrowly on being the best at one thing and achieving feats undreamed of when I was a kid. 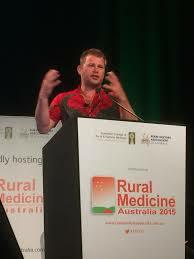 An alternative, happy and productive life can exist as a generalist - again both in medicine and the outdoors. 1 What was the last mountain you climbed? Currently I live in one of the hottest and flattest parts of the world, so it really was a special treat to get back into the mountains of SE France in August with my wife, Deb. It was her first trip to the Alps, and as a relative newcomer to climbing this was to be her first multi-pitch route. The Queyras is not a well known area, but it is relatively quiet and an ideal location for a multi-faceted holiday. 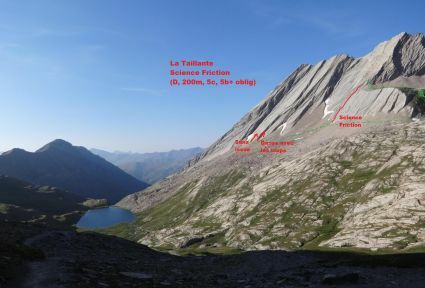 La Taillante rises just over 3000m and its west facing slabs sweep down from a knife edge "crête" to terminate in a jumble of boulders and scree. It's not such a long day that you have to start at 2am, yet the one hour walk in provided a wonderful start to the day: a well made path meandering up the hill and round the back of a corrie, a grazing ibex, playful marmots and even a remnant patch of nevé to skip over. 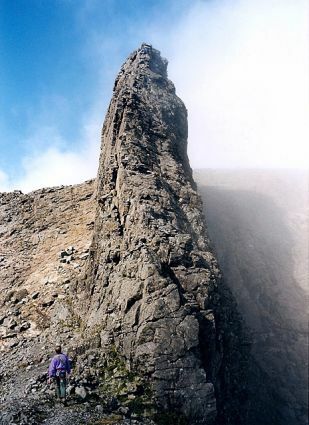 The final approach is over slippery scree to the foot of the slabs: somewhat comparable to Etive but without the coffin. Science Friction is a fine 250m route going at French 5c, and with enough bolts to make it safe, but with enough spacing to impress Deb. It even has the slab equivalent of a hanging belay at the bottom of the top pitch to improve the experience. The sun disappeared in the predictable build up, which everyday 'til now had then dissipated to leave a fine afternoon. Of course, every Alpine induction needs some drama: this came in the shape of freezing rain and strong winds. The final pitch was hurried indeed and ended on what must be some of the steepest horriblest aglomerations of loose, sharp slivers of rock I have ever seen. We picked our way tentatively up the final section towards the summit, heads bent forward to avoid the stinging rain and howling wind. I looked back Deb who was struggling admirably up this pile of choss. Unlike me she didn't spend her formative years with a climbing partner who probably held the world record for down climbing muddy Scottish bottomless gullies. As the rain turned to hail, there seemed little to gain by continuing. After all, who cares about the last 100m? Somehow I had pulled it off: the amateur guide with a perfect all-inclusive introductory alpine day out with a cold and wet, yet happy and fulfilled wife who boiled the kettle in our camper and poured brandy into my hot chocolate. 2 What does the perfect mountain day consist of? Depends upon how you conceive the notion of perfection I suppose. Perhaps a eutectic mixture of effort, challenge, fun (which should contain, according to the Pareto Principle is 80% type 1 fun and 20% type 2 fun), camaraderie and inspiration. These days a lack of horizontally driven rain also features. 3 What’s been your worst mountain mishap? 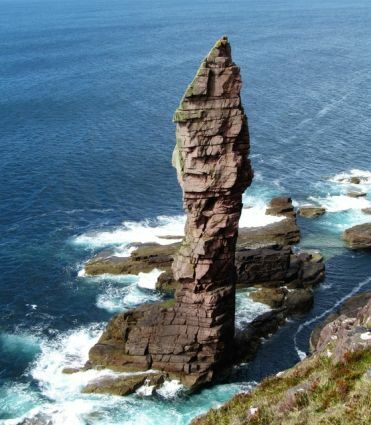 Back in 1991 I climbed the Old Man of Stoer sea stack – off the west coast of Scotland. It’s one of those scramble down, swim across type of adventures. Four pitches and only a “Scottish” VS. Going up was fun and trouble free. My climbing partner on that day was a good friend with whom I’d walked and ran a lot, but who did little climbing and had even less equipment. I’d given him my belay plate to use on the ascent and had to make do with an Italian hitch. The descent was by two abseils: the first took you for 120 feet over a slightly overhanging wall to a ledge 80 feet above a wave cut platform that was intermittently covered by the pounding ocean. I showed him my proficiency in making a karabiner brake and set off down over the edge. You need to keep a bit of a swing going so that you can reach the ledge. By the time I was level with the ledge, I had found out that I hadn’t swung enough, but managed to get a bit more of a swing going by simultaneously bouncing my weight around and letting myself drop a few feet quickly. Six feet below the ledge I managed to swing in and grab a hold. I pulled up a couple of feet and then reached down to feed the rope through my karabiner brake. I swear I could hear the ping of the karabiner as it hit the rocks 80 feet below. All I was left with was both ropes running straight through one karabiner attached to my harness. Apparently I wasn’t as proficient as I had thought. I hung on with one hand and just stared down, dumfounded and with a more than a modicum of fear. A few moves later I was tying into every piton and bit of tat on that tiny ledge. The day got easier again after that. I now triple check everything twice before every abseil. 4 What’s been your best mountain day? I’ll just pick one, or this little essay will go on for pages and pages. It was July 1999 one week before leaving Scotland for Australia. The weekend before I’d kayaked across the Minch from Skye to North Harris, then across the Sound of Harris to North Uist. I was hoping for a real pinnacle to finish on … so to speak. You’ll pick the corny pun in a few moments. Paul and I drove over to Skye, and walked into the bothy at Loch Coruisk. It was typically dreich. (Don’t the Scots have the best handle on onomatopoeia? Even without knowing that word it conveys a sense of dreary, damp bleakness). We set off at 4am and scrambled up our own homemade route to Sgurr Alasdair. The cloud hung in shreds and tatters over the summits, but the rain held off and the route appeared bit by bit ahead of us. King’s Chimney went by before we really knew we were on it. Then suddenly the In Pin loomed out of the mist. It was chock a block with ropes and climbers. More like a day above Chamonix than the Hebrides. Paul being Paul (and the one who should hold world records for down climbing steep, loose choss because he can’t find the easy route) dumped his sack and started frolicking up the route, doffing his woollen hat politely as he passed everyone. Me being me, well….followed tentatively but equally politely, somewhat embarrassed, and eventually as successfully. By late afternoon we were approaching Sgurr nan Gilean and could see down to the pub. But, we were not to take the easy way out and head straight down. Instead we peeled off the backside of the mountain and back down that long, lonely glen back to the hut at Loch Coruisk, arriving at 10pm to be pampered and fed by some foreign backpackers who were overjoyed to discover that we weren’t dead. 5 What mountain changed your life? There were two mountains that changed my life and they did it together: sort of conspired I suppose. In 1992 I deferred my second JHO job (you could do that back then) to try my luck at being a Himalayan mountaineer. Broad Peak was possibly an ambitious first choice, but the opportunity arose, and the West Ridge is not technically difficult. Late snow, heavy snowfall and storms interrupted our plans. I got re-entrant pulmonary oedema as we headed back up to our first camp. And that ended that. By the time I got to Pumo Ri in 1994, the gods had obviously been conspiring and the SE Ridge knew what it had to do. At 6500m, I bivvied in a delightfully comfortable crevasse, the slight malaise and slowness of the day turned into what must have been High Altitude Cerebral Edema. When it takes you 15 minutes to get your crampons on and another to 5 to climb up only 20m, you know something is wrong. My heads pounded and I shivered uncontrollably all night even though it was only minus 25. Descending the route down the fixed ropes to “ABC” and then the trudge back to base camp took all day. So, how did that change my life? Well, obviously I was going to be the next Reinhold Messner or Ueli Steck. So, I took up sea kayaking instead. Sea kayaking took me to the Arctic, to Shetland, around most of Tasmania and across the Bass Strait. I learnt how to build fibreglass boats and read nautical charts. I enjoyed spear fishing for dinner after a hot day’s paddle and I discovered that you could go adventuring for several weeks at a time and not have to carry a humungus back pack. You could go out to play in some of the wildest waters on the planet and still cart along wheels of Brie cheese and flagons of port and live like a king. 6 What’s been your best bit of mountain kit? I really don’t know. I still have my father’s Stubai ice axe with its hickory shaft that comes up past my waist, and I have seen photos of Jim Duff’s mother climbing in the Lake District in the 1930s in her leather boots ringed with tricounis. I have also seen people so focused on their gear that they seem to have missed the point. For sure, equipment has seen huge leaps and bounds in even my life time with incredible gains in strength and lightness and improved design. But whilst a bad workman blames his tools, a sensible mountaineer takes time to learn her craft, hone his skills and when push comes to shove makes do with what she has. The best bit of kit is what you actually have with you at the time you grab hold of an opportunity and just get out there. 7 What makes a great climbing partner? Has anyone come close? My wife. J Who else? And… err… no. 8 What’s been your biggest mountain disappointment? Obviously Broad Peak and Pumo Ri. 9 What is your “dream” mountain objective? See question 10. I don’t have one. 10 Give us a mountain “tip”! When I was younger I had this list of stuff to do: the list kept getting longer despite my efforts. The world is too big and I was always going to be disappointed with that approach. So, a few years ago, I abandoned the idea. Instead, I just welcomed everything that came my way. I deliberately tried things I hadn’t done before: as a skier I even crossed the black divide and tried snow-boarding. Since I scrapped my list I have learned to paraglide, pack-rafted the Middle Fork of the Salmon, nearly shat myself climbing the soft sandstone of Wadi Rum, sailed the West Coast of Tasmania, and hopped from one Thai climbing spot to another on a wooden catamaran made kontiki style and tied together with rope. I use my outdoor sports as both an end in themselves and as a means to an end: that of widening my experiences, learning new stuff about myself and the world, and meeting new people and cultures. This approach is working well: we’re off on a sailing and mountaineering trip to Antarctica on a private yacht in February and then get to go to Lake Garda to speak at the Extreme Sports Medicine conference next July and will obviously go climbing at Arco. I still want to learn to base jump but Deb thinks paragliding is enough.